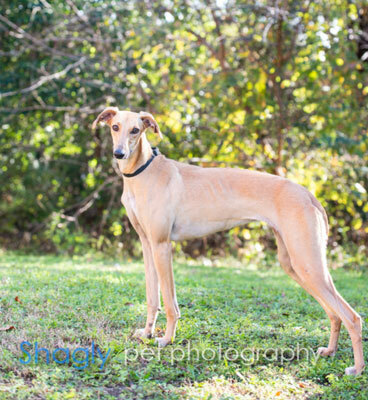 Leia is an approximately 1.5 year old fawn female found as a stray by Mansfield Animal Control. Leia has not yet been tested with cats or small dogs. She is being evaluated by specialists for a heart murmur. In January, she underwent surgery to correct Patent Ductus Arteriosus (PDA), a congenital heart defect that occurs when an opening in a fetal dog heart that permits blood to bypass oxygenation in the lungs fails to fully close at birth. The opening allows blood to flow in an abnormal pattern leading to congestive heart failure. She has a long recovery ahead of her, but we are hopeful she will ultimately have a long and happy life in a forever home. The special medical treatment cost needed by Leia is why the Miss Mesa Fund was established. If you would like to help with Leia's care, please take a moment to make a donation to the fund. 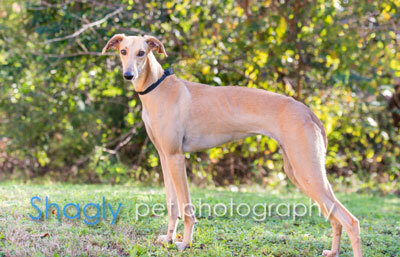 You WILL and CAN make a difference in Leia's life and the lives of other greyhounds in need of special medical care. Your help and support will make a difference - one greyhound at a time. Please note Miss Mesa Fund/Leia on your check.